Partner with the University of California for National Farm to School Month. Schools across the country are celebrating local connections to local food producers in October during National Farm to School Month. Education and outreach activities such as school gardens, cooking lessons and field trips are teaching students about healthy, local foods and food's journey from the farm to their forks. There are plenty of opportunities for teachers and schools to celebrate and get involved in National Farm to School Month with the University of California Division of Agriculture and Natural Resources (UC ANR). Here are a few ideas to get you started. Launch a 4-H Club at your school. The 4-H Youth Development Program emphasizes enrichment education through inquiry-based learning. Core content areas include Healthy Living as well as Science, Technology, Engineering and Math (STEM). Clubs have access to a wealth of curricula materials exploring food, agriculture and natural resources. 4-H also offers the Ag in the Classroom school enrichment program. 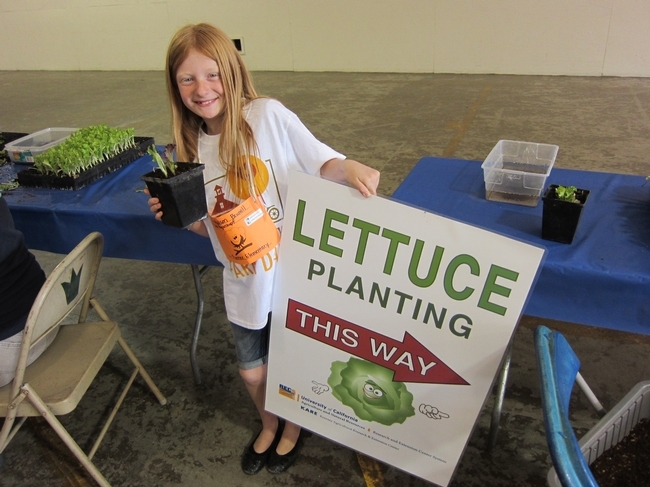 Lettuce planting delights young gardeners.  Invite UC ANR academics and program staff to your career day or science fair or to make a classroom presentation. Specialists from Master Gardeners, Nutrition Education, Project Learning Tree, California Naturalist and other UC ANR programs know how to engage and inspire your students. Take your students on a field trip to a UC ANR Research and Extension Center (REC). The nine RECs in California are focal points for community participation and for active involvement in current and relevant regional agricultural and natural resource challenges. Visiting a REC offers students a unique opportunity to learn about food production through the lens of applied science research in plant pathology, integrated pest management, conservation tillage, water conservation, development of new crop varieties, and much more. Some RECs also host extended education programs such as Sustainable You! Summer Camp and FARM SMART. Students learn about post-harvest research at the Kearney Agricultural Research and Extension Center. 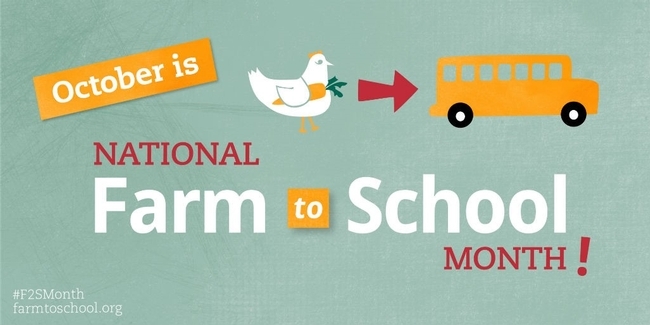 The 2016 National Farm to School Month theme is One Small Step, which highlights the easy ways anyone can get informed, get involved and take action to advance farm to school in their own communities and across the country. Join the celebrations by signing the One Small Step pledge then take your own small step to support healthy kids, thriving farms and vibrant communities this October by partnering with UC ANR.